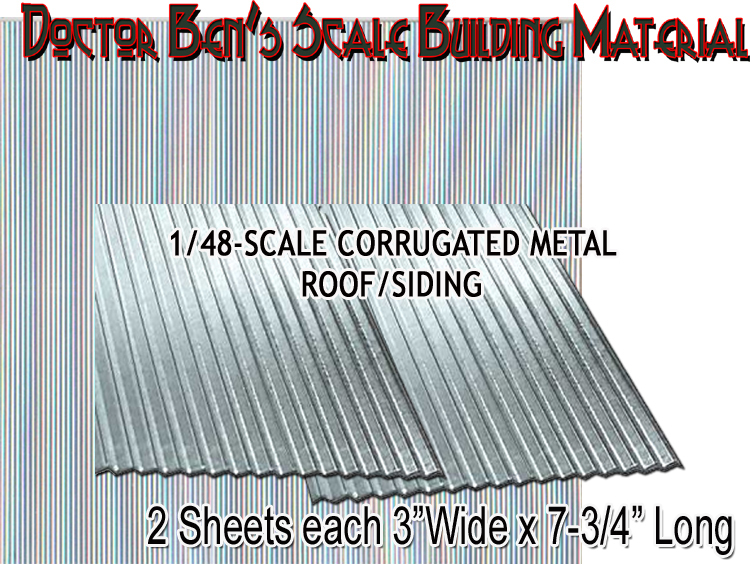 This is for a two (2) sections/sheets of Corrugated Material (3" x 8"Long) ready to be cut to your scale &constructed. All you have to do is cut to size and glue to your roof! A single section is 3" x 7.5" & you are going to want to use Doctor Ben's Super Sticky Adhesive #2924 to apply this material. Applying roofing/siding has NEVER been easier. 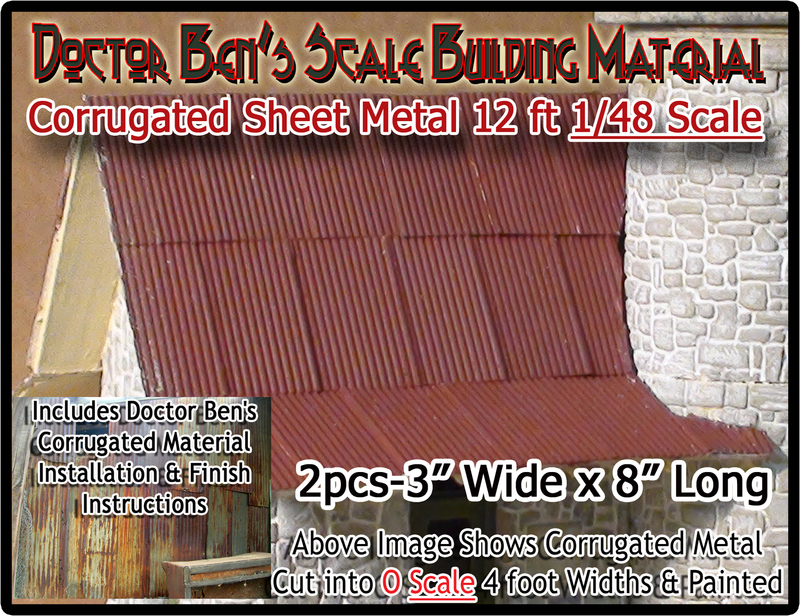 Coloring & Weathering techniques are recommended using Doctor Ben's Weathering & Stain Products! SEE Below! Great Product. Very real and the right scale. This is the perfect thickness for my new building. Takes paint well, too.